Arthur Joseph McElhone was born at Sydney on 22 July 1868, the son of politician John McElhone (1833-98) and his wife Mary Jane, née Browne. He married Eva Catherine Walshe in 1897 and had two sons and two daughters; his son John Fitzroy McElhone also served on Council. He died on 17 June 1946 at Gloucester House in Sydney. At the time of his death, Alderman Arthur McElhone was the managing director of Nicholson’s Pty Ltd. and the chairman of directors of the North Coast Steamship Company and the Eagle and Star Insurance Company Ltd. In 1952, the Arthur McElhone Reserve in Billyard Avenue, Elizabeth Bay was dedicated to his memory. 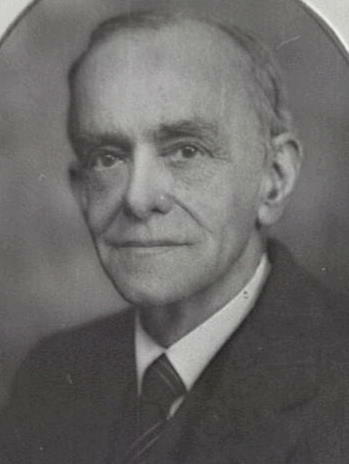 Arthur McElhone was a director of the Royal Prince Alfred Hospital for 27 years and gave service to several other hospitals. Arthur McElhone was Alderman for Fitzroy Ward, 1 December 1899 to 31 December 1927, and re-elected 18 June 1930 to 17 June 1946. 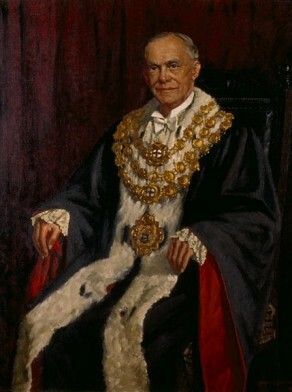 When the incumbent Lord Mayor Alfred Livingstone Parker died on 18 October 1935, McElhone was briefly the Lord Mayor from 22 October to 31 December 1935. During the election of Lord Mayor for 1936, McElhone was not nominated. He was a member of the Labour Advisory Committee and the Parliamentary and By-Laws Committee in 1901–02, the Staff and Labour Committee, 1902¬–03, the Health and By-Laws Committee, 1902–11, 1914–15, and 1937–38. He was a member of the Health and Recreations Committee in 1903 and 1939-1946, the Electric Lighting Committee, 1901–03 and 1905–15, the Street Signs Special Committee in 1906, the Electric Supply Committee in 1922, the National Emergency Service Special Committee, 1940–45 and its Vice-Chairman from 1943–45, the Electricity Committee, 1930¬–37 and 1940, and the Works Committee, 1900–27 and 1930–46 and its Vice-Chairman from 1906–22 and 1930–32. He was member of the Finance Committee, 1900–02, 1905–27 and 1930–41, and its Vice-Chairman between 1913 and 1916. He served as a member of the Board of Water Supply, 1922–25 and the Metropolitan Water Sewerage and Drainage Board, 1930–31. He established a record as an Alderman, having served for 44 years, except for a short period when the City was controlled by a Commission. When the Sydney County Council was created to take over the control and administration of the City Council’s electricity undertaking, Alderman McElhone became one of its first chairmen. He was Councillor of Sydney County Council, 1935–37, 1942–46, Chairman, 1937 and 1945, and Deputy Chairman, 1943–44 and in 1946.